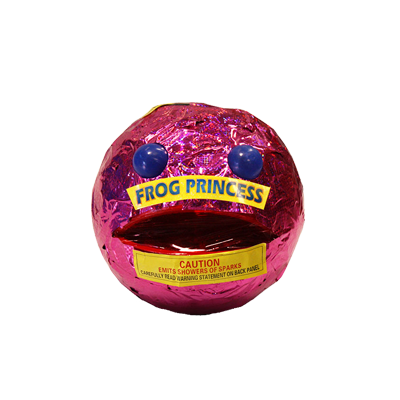 Frog Princess – This fountain contains red plum blossoms, silver crackling & blue stars with white chrys with red stars, silfer flowers & orange stars crackling wih blue stars. Watch it’s blue eyes and red lips flicker. Pip Squeak - It may be little but it packs a punch. Magnificent color with crackling flowers and whistles. This is a must have. Never Ending Fountain - With duration of over three and a half minutes, your friends will be impressed with your selection. Awesome reds, greens, gold and silver with plenty of glitter, crackle and whistles. Killer Bee - A huge swarm of killer bees release from this fountain. Very intense visual.